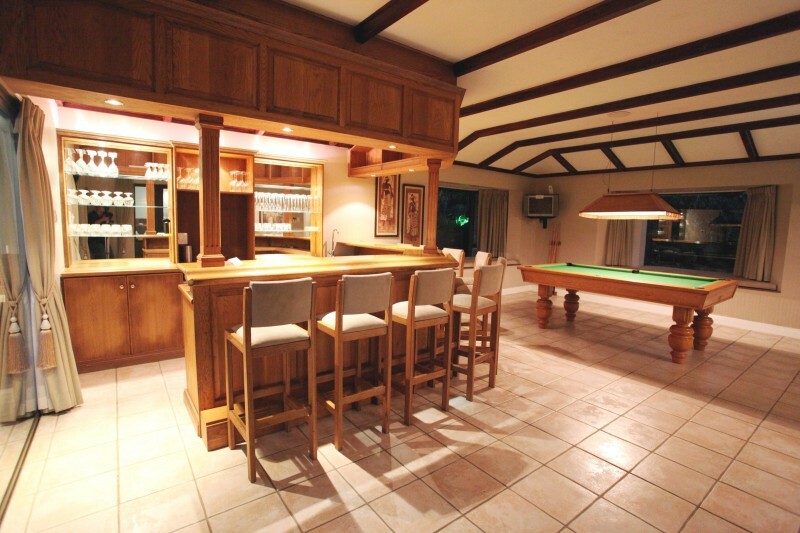 Pettigrew's Place is a luxurious 5 bedroom holiday villa situated in Selborne Park Golf Estate. 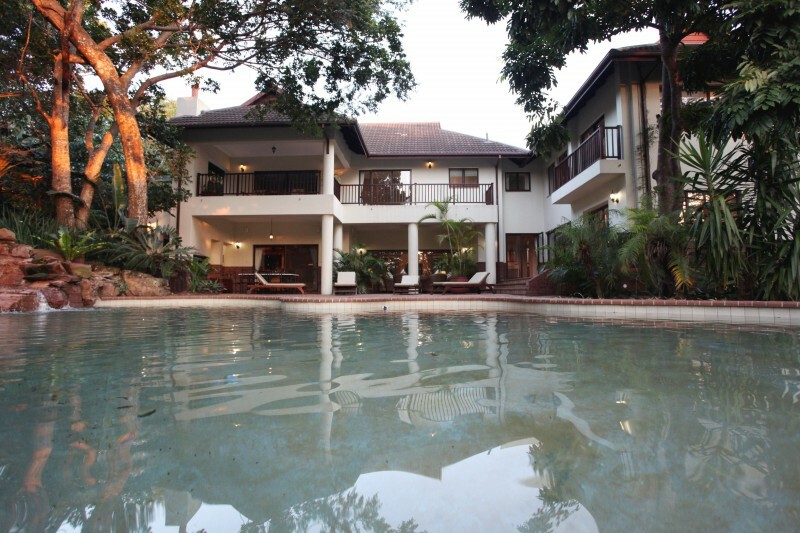 The house is fully air-conditioned, has surround sound throughout, TV with full DSTV in lounge and bedrooms, en-suite, has an indoor sauna, outdoor swimming pool & Jacuzzi, private golf cart, games room with bar, daily cleaning services and laundry services. Guests also have access to the Private Beach Club in Pennington. Pettigrew's Place is an exclusive three storey, 5 bedroom home on a large property situated within Selborne Park Golf Estate, which offers guests a feeling of tranquil luxury and above all; privacy. The immediate garden, just off the house, boasts a large pool with a natural rock feature. The swimming pool area is furnished with stylish chaise lounges, perfect for spending leisurely hours in the sunshine. The garden also has a Jacuzzi overlooking the surrounding forestry, and a play area for the children with swings and a large trampoline. 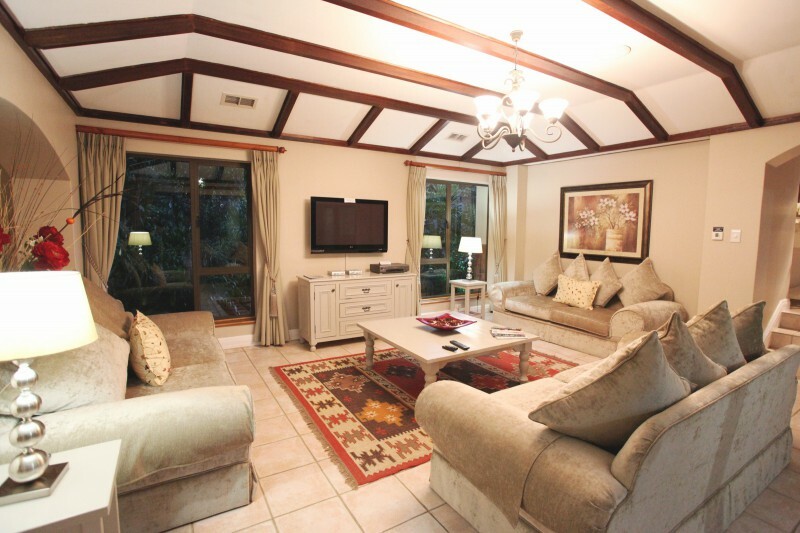 A spacious open-plan lounge has a large, flat screen TV with full DSTV & state of the art Sound System with surround sound throughout the house. Leading off from the lounge is the Billiard Room which has a large bar area and TV - a fabulous setting for those not-to-be-missed sporting events. The dining room with 10 seater dining table also leads off from the lounge. The kitchen is fully equipped wtih modern appliances incl. washing machine, tumble dryer, fridge / freezer with ice-maker. 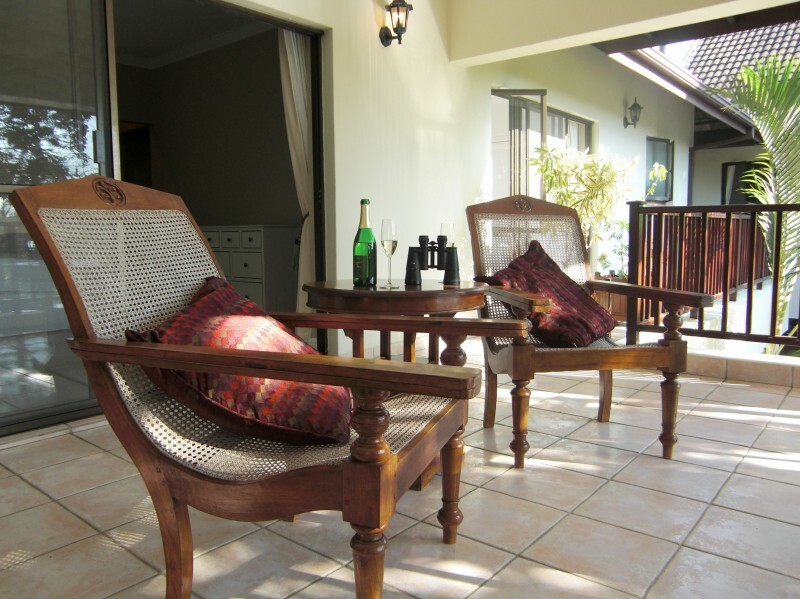 The front veranda has a large braai with table and patio furniture. 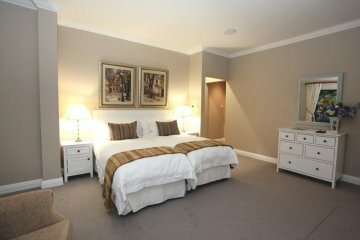 Pettigrew's Place has 5 large bedrooms, each with its own TV. 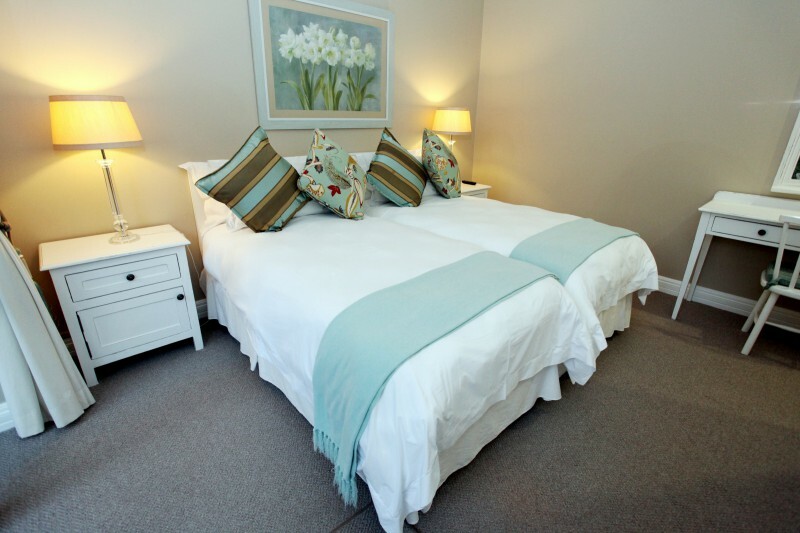 Fully furnished including built-in cupboards, bedding and towels, the bedrooms are beatifully decorated in natural tones and hues with highlights of vibrant colour. 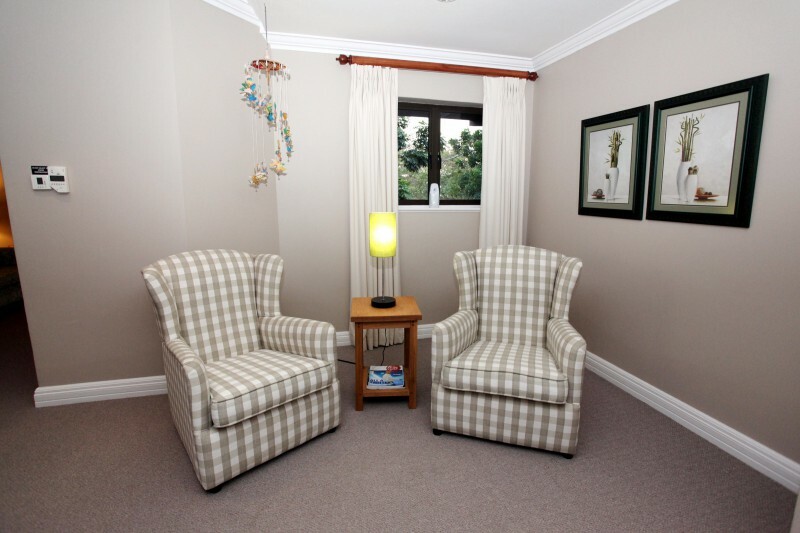 Upstairs houses four en-suite bedrooms and has an additional small bunk room suitable for two children. The upstairs TV room also has a sofa-bed that sleeps two people. The fifth bedroom is downstairs, has a Queen size bed and leads directly out to the swimming pool area.